Hello, I’m Vickie , a mummy to four amazing children ranging in age from 17 months to 18 years. We live just outside Great Yarmouth near the Norfolk/ Suffolk border. I had been a primary school teacher for the past 16 years and have taught all the age groups from reception to year 6. I loved working with and supporting children, seeing and helping them develop into confident, independent individuals with a passion for learning. I enjoyed working with parents too, giving advice, help and guidance whilst sharing their child’s educational journey. Working with young children and my four, very different experiences with my pregnancies and births and babies, has led to my desire to work alongside expectant parents and new families. It is such a unique time, full of varying emotions ranging from elation to anxiety and I found my needs were very different for each pregnancy. It wasn’t until my fourth pregnancy and birth that I felt I had finally experienced a birth where I was in control. I made choices based on what I and my partner wanted and I valued having the information available to me that enabled me to do this. Joining The Natal Family has given me the opportunity to help give unbiased, non-judgemental information to parents that will hopefully enable them to make choices that fit their parenting style and beliefs. The classes I offer follow the Natal ethos of offering ‘Choice’ and ‘Empowerment’ to parents. The aim is to give an insight into what to expect with a new born baby, to bring about an understanding of the options available and to provide information to enable parents to make informed decisions on what is best for them, their baby and their family. I am currently offering Practical Baby Care classes, Baby First Aid workshops for parents and carers and Paediatric First Aid covering 0-12 years of age. I will soon offer the following Development Baby Massage and Sensory Play. I am also a certified Toddle Talk baby and toddler signing instructor and also run weekly classes in baby signing. All classes and workshops are offered in different venues in the Great Yarmouth, Gorleston and Lowestoft area and I am also able to offer private sessions of any of these courses in people’s homes or own venues. 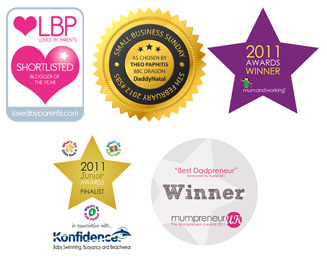 Please visit my website www.blossomingbaby.co.uk for more information and booking details. Co-sleeping and bed-sharing with your baby – what is there to know?